This beautiful big dog - a Leonberger - came along to the Blessing of the Animals in Gorbio. He's 9 years old and lives above the village. 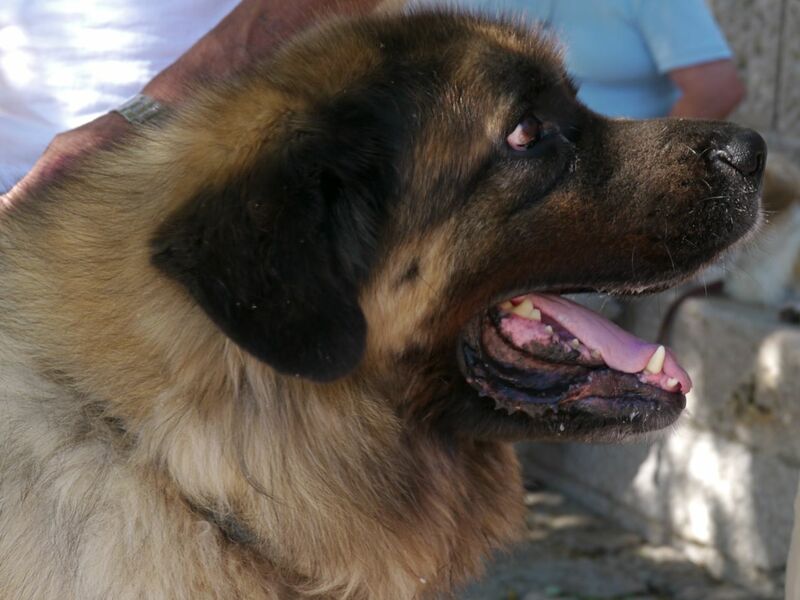 The breed's name derives from the city of Leonberg in south-west Germany. According to legend, the Leonberger was ostensibly bred as a 'symbolic dog' that would mimic the lion in the town crest. I have seen those dogs, but never knew their correct name of the breed. It is a gorgeous looking dog, if I had lots of land I would acquire one. 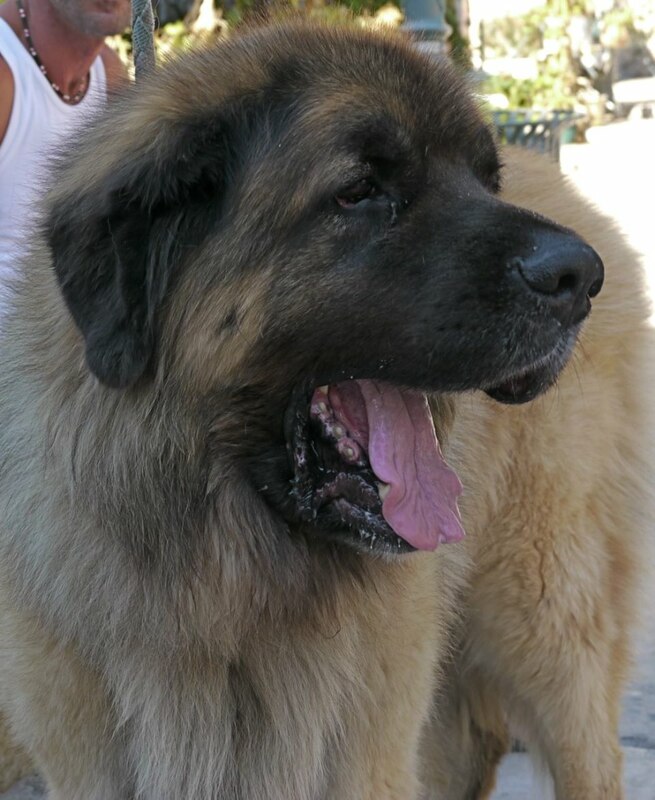 Another one of those big bear-like dogs for which I have such a weakness. I recently heard of this breed, but don't know much about them. 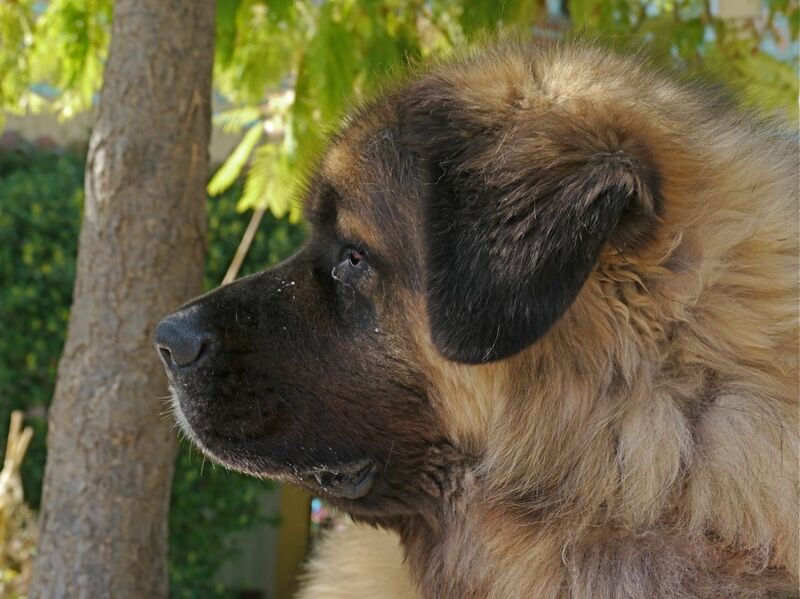 As you might remember, I've been leaning toward a Bernese Mountain Dog for my next "addition" to the family, but I may have to investigate the Leonberger as well. Such gentle giants; I'd love to give Thierry a big hug. Thanks for sharing him with us.